This is a personalised Bulmers glass, supplied in a box, and is 27oz, over a pint and a quarter. The price includes up to 50 characters engraved for free. Any additional characters to personalise the Bulmers glass are then charged at 25p each. The box may be upgraded to a satin lined presentation box. 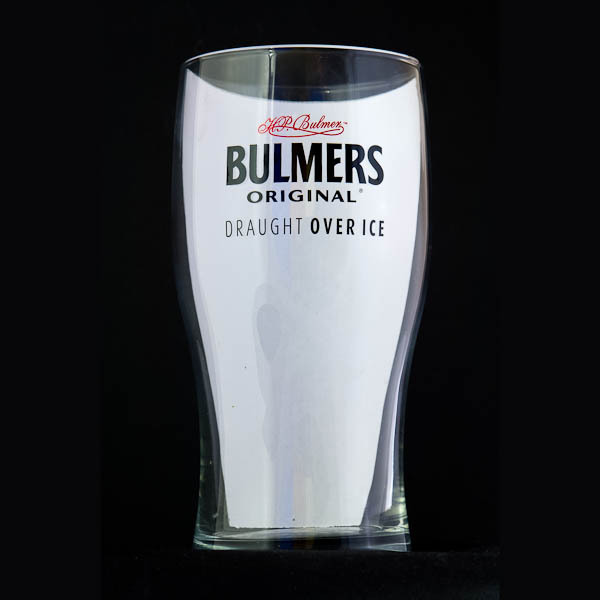 The size of the Bulmers glass is approximately 3.2" wide, 3.2" deep and 6.5" high. There is an engraving area of 2" by 1.5". As space is limited on this glass, so If you wish to have a logo engraved please contact us. The Bulmers glass makes a fantastic personalised gift for anyone who likes drinking Bulmers Cider. The postage rate for this personalised Bulmers glass is Band B. Note: the image has a piece of white paper inside the glass so that the logo stands out. The glass is clear glass.